With a beautiful but small fleet of vehicles, Rocky Mountain Car Service is ready to provide specific limousine services for special occasions. They do not have a stretch limo option but the fact that they have fewer vehicles means they make sure each one is performing perfectly. This attention to detail makes them head and shoulders above most other limo companies. On top of their amazing service and impeccable vehicles they have prices that will fit almost any couple’s budget. One of the first things that you notice about Front Range Family Limo is their honesty. Their quotes contain everything that you will pay and there will never be any charges for extras. This refreshing approach is aimed to match the way they see Colorado Springs as a down-to-earth place that they are proud to be from. As a local service they can offer rates which are extremely competitive and will have any Colorado couple looking to them for wedding day transportation. Many limo services in Colorado Springs assume so much of a professional persona that they forget they are part of a celebration. At Colorado Springs Limos they have found the perfect balance between being passionate and being professional. Their discreet service is designed to allow your special day to go by without a hitch. 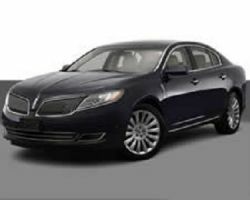 Whether you hire a town car from them or one of their larger vehicles you will not be disappointed by the fantastic service and quality they provide. 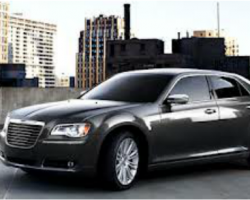 Unlike many other companies offering limo rentals in Colorado Springs, CO, A Five Star Limousine focuses on the quality of their chauffeurs as much as the maintenance of their vehicles. Each professional driver is highly trained not only in his or her craft but also in flawless customer service. To add to this their knowledge of Colorado’s roads is constantly monitored and tested. This means that no matter the conditions they will get you to your destination exactly when you need to be there. With: ‘Life is way too short, and you deserve the best out of it.’ as their motto you couldn’t ask for more from Altitude Limo. They aim to make luxurious travel available for a wide range of people but most importantly to make it affordable. This team of experts achieves this remarkable goal by providing each client with the VIP experience. Whether you are searching for prom limos or something extra special for your wedding day, the chauffeurs and owners of Altitude Limo are dedicated to making every single detail perfect. 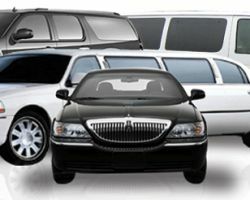 The professionalism of this company comes from their background in airport transportation for visiting VIPs, dignitaries and business movers and shakers. 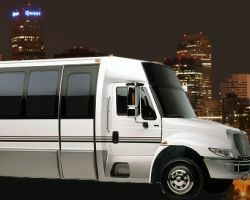 This means that Colorado Corporate Car does not have party buses but rather sticks to the most prestigious and elegant form of transportation. For those looking for wedding transport that exudes the ultimate style and luxury, then Colorado Corporate Car will exceed your expectations. They do not offer cheap transport but only the very best limousine experience, guaranteed each and every journey. The professionals at Pearl Limousine are proud to be part of one of the most successful Colorado Springs limo services. They gained this prestigious position by consistently providing the very best service possible. 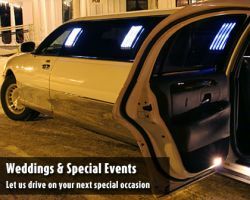 No matter the event, whether it is a prom, business meeting, night on the town or your big day, they will accommodate every need you may have. 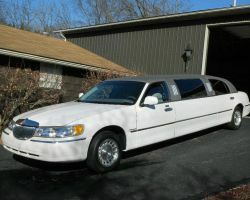 No job is too small or too big for Pearl Limousine and they aim to meet and exceed all expectations.